Today starts off Death Knight week! Kinlai, from World of Lae, had a fun idea for a community blog topic to celebrate the wonderful classes in WoW. Alt Appreciation weeks. As a dedicated altoholic, I heartily approve of this theme. This is Shiki, my main character. She is lurking inside a ruined chapel formerly owned by the Scarlet Crusade. I have talked about my love of DKs before. 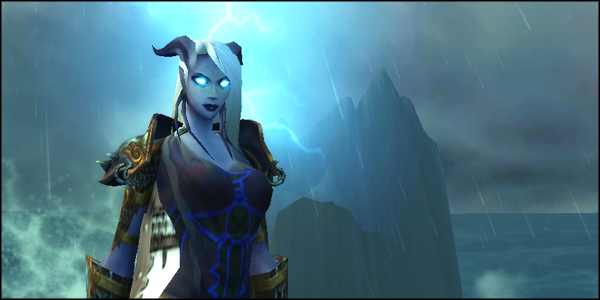 My main character is a DK and she has been my main since Wrath. Shiki is the character I do everything on. She is the one who must max all reps and do all the things. She is also the character who goes mount farming and raid/dungeon soloing the most. I really love soloing stuff. Currently I am dual wield frost even though I prefer playing two-handed frost. Alas, the stupid loot gods threw me a one-handed 516 weapon and since it was almost forty levels better than what I was using I had to obey them. I was not a fan of the Battlefield Barrens quests. Even if I ignored being made into a robot cat spy, they were too grindy for my taste. As a result, I haven’t played Shiki as much lately. I’m hoping that I will have more fun with her on the Timeless Isle. Raavynn visiting the Maelstrom. Thrall is over there somewhere. This past weekend I leveled my latest Death Knight from eighty-one to eighty-six. My goal is to get her to 90 by the end of the week. She will be my third level 90 character–and my second level 90 Death Knight. 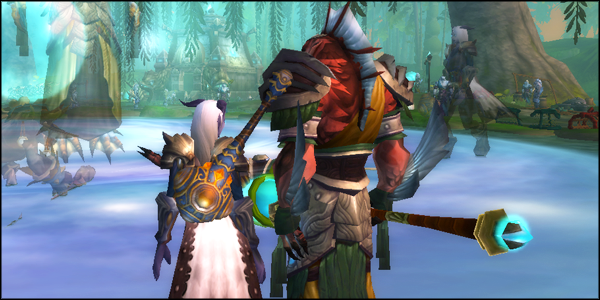 Finally in Pandaria…and still wearing heirlooms. Doh! Then I get to tackle the fun of gearing her and dailies! Can’t forget the dailies. She will be my first Level 90 character in Sojourner. The Twilight Drake matches the Death Knight banners exactly! I don’t usually plan cosplay mounts…but this was awesome! Shiki, also had a few adventures. I finally got revered with the Shado-Pan so now all my alts will have an easier time of it. Two of my DA Guildies also helped me get the Twilight Drake from Sarth 25. That was awesome! 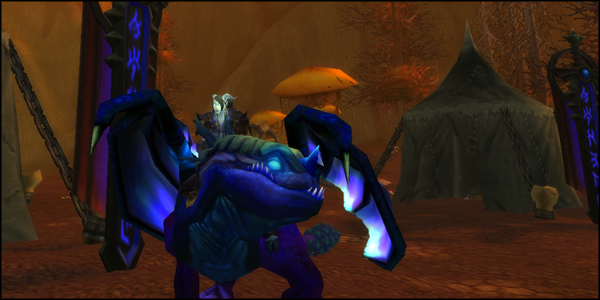 As an added bonus, it tipped me to 100 mounts so I also picked up a Blue Dragonhawk mount. All in all, not a bad weekend for my undead ladies. WoW player and sometime artist. Likes to ramble about both of these things. 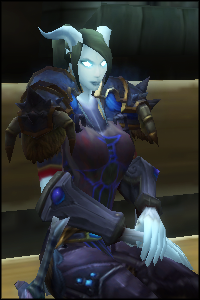 My Death Knight isn’t my main, but I can certainly see the appeal to them, and I enjoy playing her a lot. I got my 2nd monk to 90 last week, so I get that part of the story too; you love a class, you want to play that class all the time, but as your levels, gear, reps are maxed, you run out of stuff. So you make a new one… And you get to play the class, and start over. 🙂 That’s how it is for me anyway.